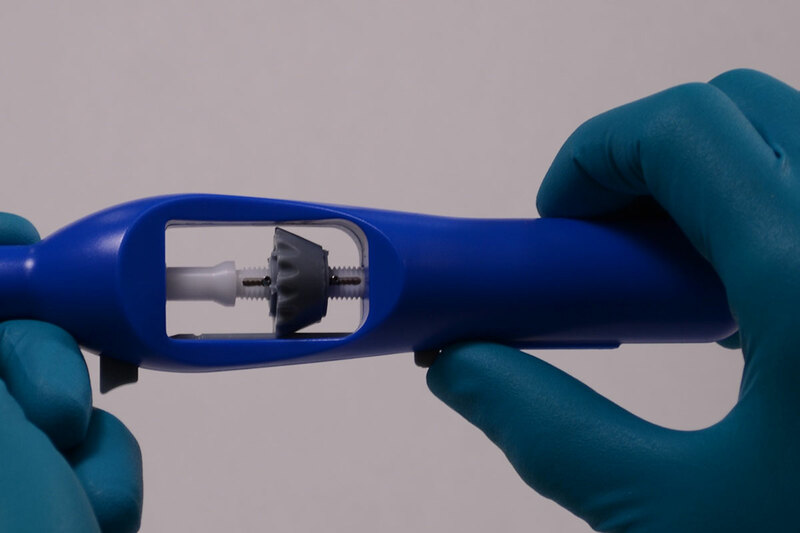 Sliding the spring-loaded thumbwheel forward deploys the needles and they can be gradually inserted into the affected tissue. The deployment depth can be increased or decreased by rotating the thumbwheel. 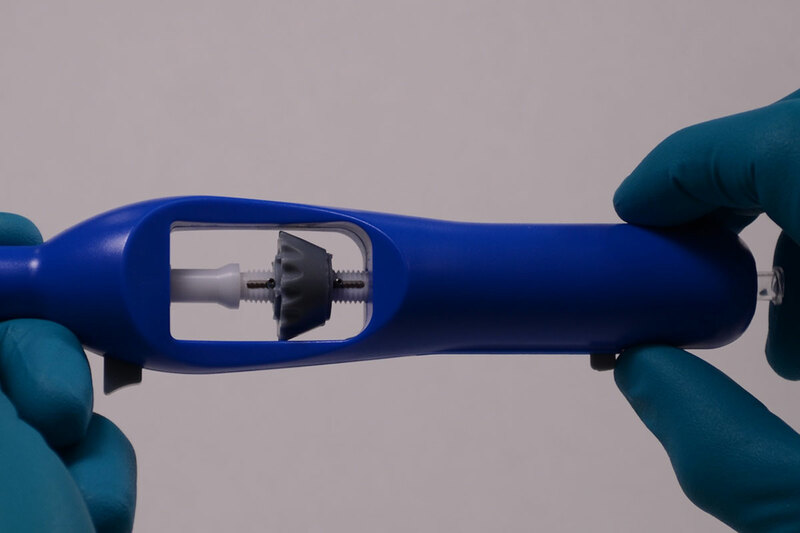 When the release button is pressed, the injection needles are completely withdrawn into the distal section of the catheter. 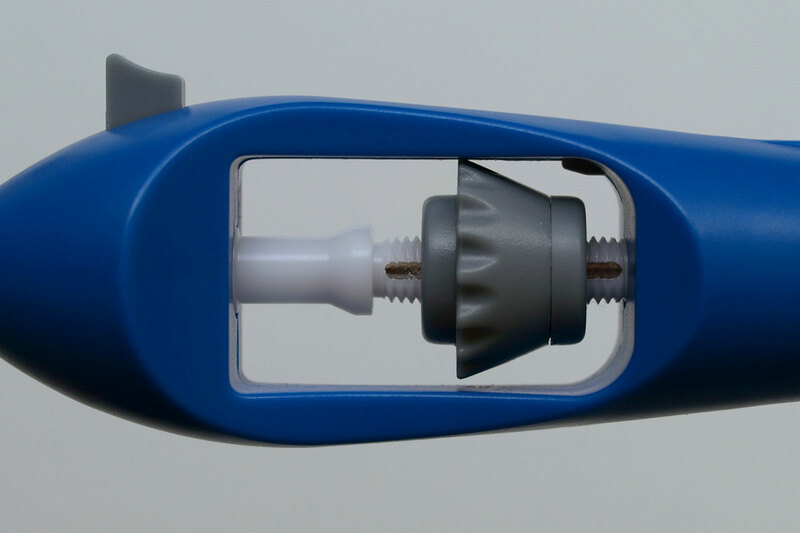 Once the deployment length is determined, the sliding lock prevents the needle adjustment thumbwheel from turning, keeping the deployment length constant throughout the procedure.